Easy to install and with low running costs this weatherproof design is perfect for the agricultural market and notably in farms with livestock. 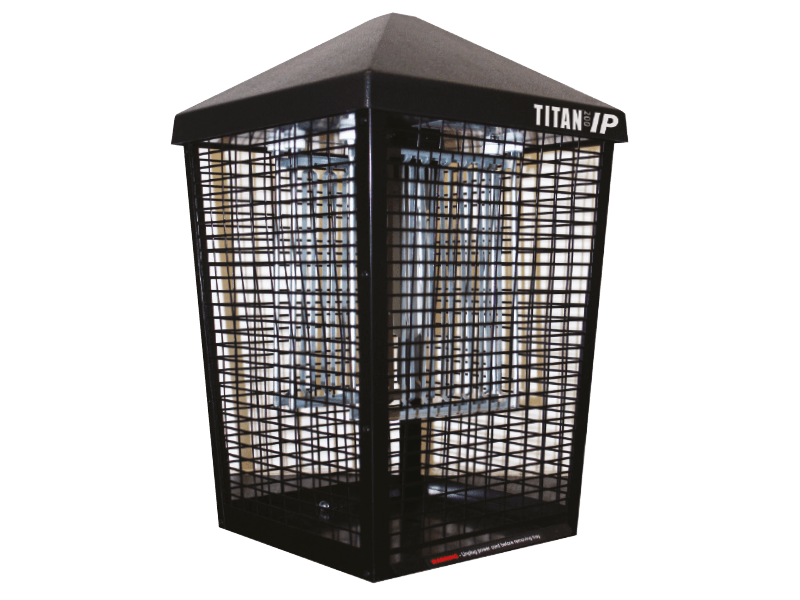 The Titan 200 IP is robust and powerful with a metal casing and a quality industrial transformer that will efficiently eradicate flying insects for years. Its servicing is quick with easy access to the catch-tray and the highly powerful 20 Watt compact UV tube. Splash-proof rated to IPX4 suitable for farm conditions. All-around and environmentally responsible insect attraction with no pesticide and no risk of chemical resistance.